The company is a prominent Riffle Sample Divider Manufacturer and Supplier in India. Our Riffle Sample Divider is designed as per IS: 1607, 2720. 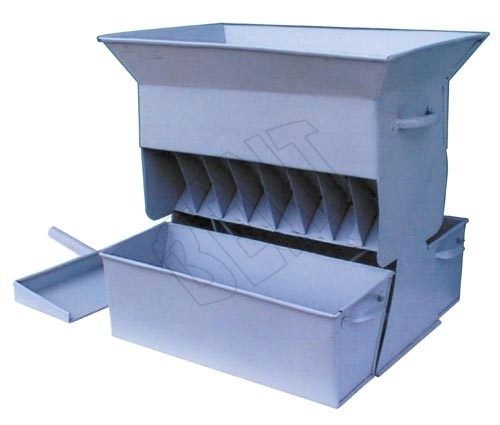 The Riffle Sample Divider consists of metal boxes fitted with a series of chutes of equal width which discharge the material alternatively in opposite directions into separate pans.